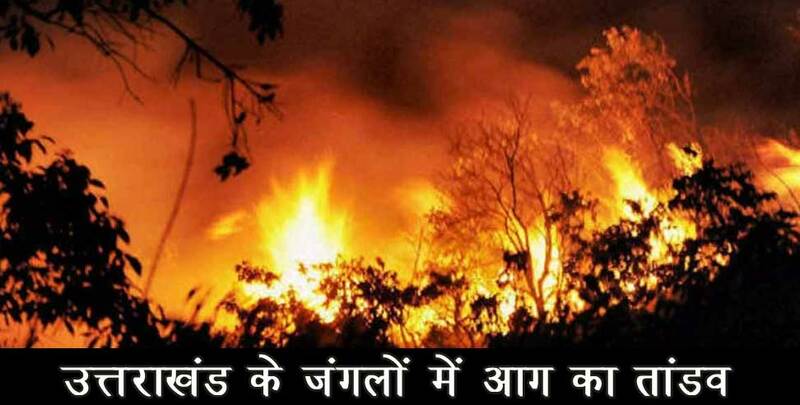 Read this news article about jungle fire gets worse in shrinagar uttarakhand (श्रीनगर गढ़वाल के जंगलों में 5 दिनों से लगी आग है, ऋषिकेश-बद्रीनाथ हाईवे भी चपेट में - Shrinagar, Jungle Fire, Uttarakhand News,उत्तराखंड,) for complete news and information. Rajya Sameeksha (राज्य समीक्षा, rajyasameeksha.com) is one of the most popular hindi news portal Uttarakhand. Readers get in-touch with all the positive/genuine news and information about Devbhoomi Uttarakhand. Currently rajyasameeksha.com publishes Uttarakhand News (उत्तराखंड न्यूज, उत्तराखंड समाचार).